LADY A has made a place on the Florida blues map from the panhandle to Key West with her strong, earthy vocals and harmonica solos. 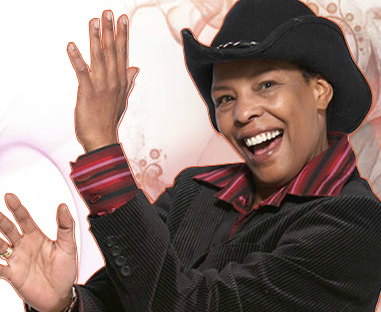 She has worked with K.C and The Sunshine Band as well as many other touring and recording pros. She also hosted a popular radio show in the Florida Keys. 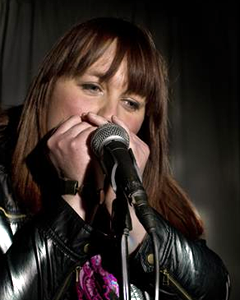 GENEVIEVE DARTEVELLE is Belgiums only female harmonica player. 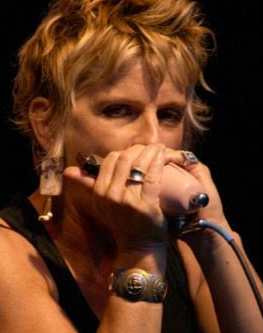 She lives in Brussels and plays with numerous blues groups including; Bluesdealers Deluxe, The Excellos, Hobo Jungle, and others. 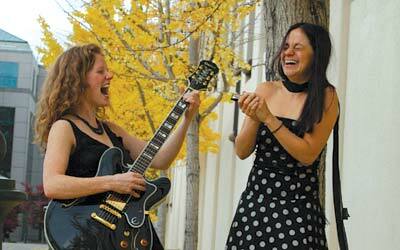 She plays many festivals and is a huge fan of American roots music. 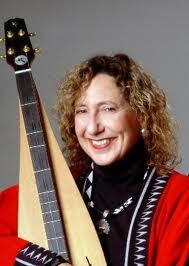 JOYCE ETTINGOFF lives in Silver Spring, Maryland. She grew up in Philadelphia and lived in that area until 1966. She plays country, Piedmont Blues and some big band Jazz. 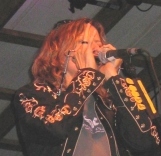 She has been playing the harmonica since age three and was taught to play harmonica by her Uncle Morris Rose who had worked for Disney very early on doing sound effects and music in the beginning cartoons. 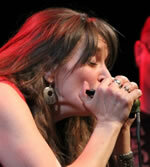 TIFFANY HARP Tiffany Harp is a traditional American Blues Harmonicaplayer. She was born in Southern Brazil, Itajai, Santa Catarina. 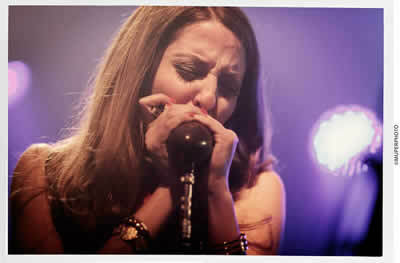 She started playing harmonica at the age of 16. 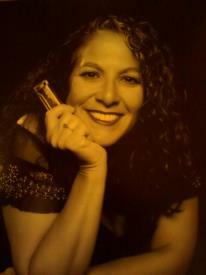 A naturally gifted Harmonica Player, she is self-taught, listening to recordings of Blues Players, and has been playing professionally since 2003 and with surprising development, drawing attention to her technical ability and strong footprints of mastery reminiscent of the 1950's and 1960's recordings of Chessand Checker Records (something rare and refreshing today). She has gained popularity worldwide having many loyal fans. 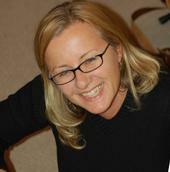 Beth welcomes email at bkohnenx@yahoo.com. 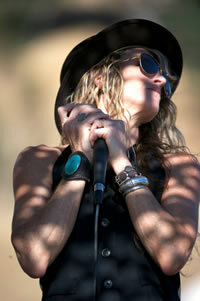 SWEET MARTA and her band "The Blues Workers" combine Texas, West Coast and Chicago blues. 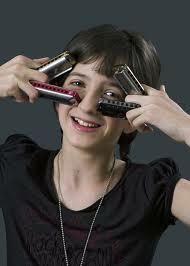 GUTA MENEZES is a young harmonica virtuoso from Brazil who also plays trumpet, flugelhorn, saxophone and bagpipe! SARAH MESSIAS is from Brazil and another member of the South American group, Mulheres Gaitistas, several young players who love the blues. 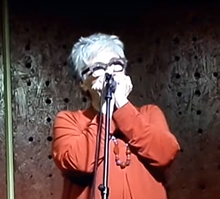 MULHERES GAITISTAS (Women Harmonica Players) is a group of South American women who play the blues. Members include Sandra Vazquez, Sarah Messias, Maria Barsatto and Natasha Seara. 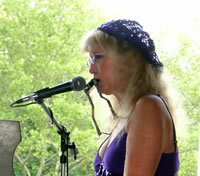 LIZ PENNOCK began performing professionally as a solo artist in 1975. Undaunted by what might seem a limitation, Pennock was born minus two fingers on each hand, a fact not evident from the other side of the piano. 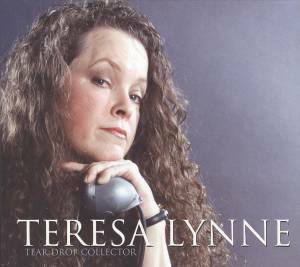 She has developed her own powerful ivory-tickling style, inspiring countless listeners. 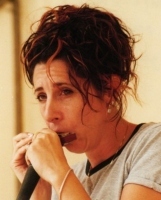 Pennock’s songwriting ranges from the romantic “My Best Fan” to the rollicking “He Plays the Boogie.” Liz also plays trombone and was an endorsee for Hohner harmonicas from 1998 thru 2011. 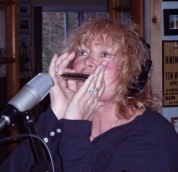 DIANA REDLIN is formerly from Montana where she played in the Moonlighters band among others and was highly rated as a harmonica player. 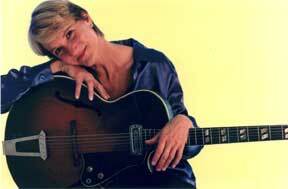 She has been playing on stage since 1972 and has opened for Koko Taylor, Albert Collins, Buddy Guy and Junior Wells and others. A few years ago Diana relocated to Southern California where she also designs jewelry. Several websites display her artistic creations. 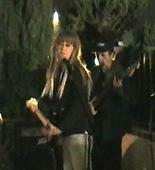 She hasn't played on stage recently, but continues to jam with friends often. 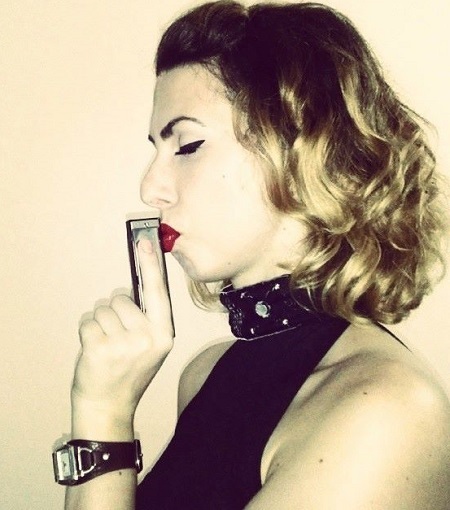 AUREA REGINA an is a musician who plays harmonica and alto flute. She lives in Rio De Janeiro, Brazil. KELLIE RUCKER has been performing professionally for more than 30 years. 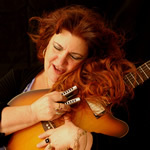 She has opened for many blues legends and recorded three solo albums along with many appearances on other recordings. 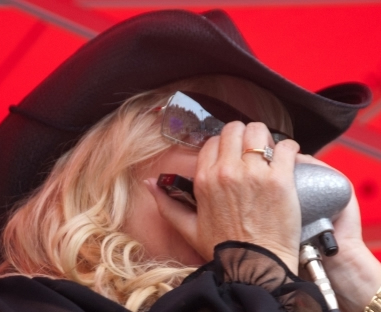 Her big brother gave her a harmonica when she was 12 and before long she started sneaking into blues clubs to hear artists like James Cotton, Johnny Winter and Roomful of Blues. She was still a teenager when she joined the Bill Blue Band and toured Scandinavia. 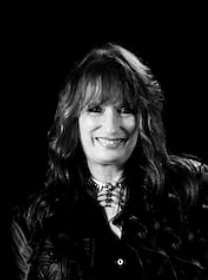 In 1985, Rucker moved to California, where she teamed up with guitarist Debbie Davies, to form a band that toured the west coast extensively for over two years. Then she caught the eye of blues guitarist, B.B. Chung King, and was invited to join his band, The Screaming Buddaheads. 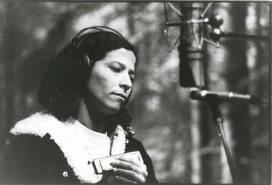 She recorded and toured with the band for over five years, becoming a sought after 'gun-for-hire' harmonica player and singer on LA recording sessions. more These days, Kellie performs in concerts all over Europe playing her own songs from her CDs, Ain?t Hit Bottom, Church of Texas, and In the Meantime: The Music of Soul Return. 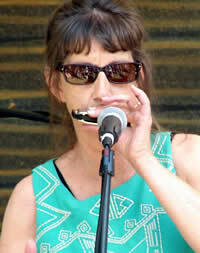 She plays Lee Oskar Harmonicas exclusively, and is a Lee Oskar Harmonicas featured artist. 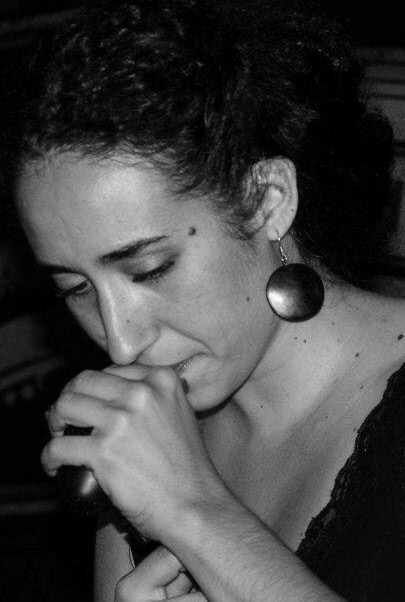 NATACHA SEARA is from Buenos Aires, Argentina, and is a member of Mulheres Gaitistas. Al Tuck and Catriona Sturton @ Florence Gardens from Ming Wu on Vimeo. MINNIE WALLACE played with the Memphis Jug Band and was the mother of Lucille Hegamin. 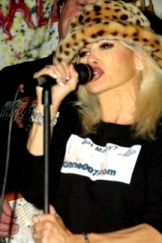 Minnie recorded four tracks of hokum blues with her band. 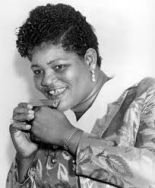 Strangely absent from most lists of blues women and harmonica players, Minnie Wallace?s powerful vocal delivery suggests a tent show background and might even have harkened back to minstrel show days.